On this page you'll find a selection of items belonging to the group of cereal grains and pasta. Through the links on this list of foods that are cereal grains and pasta and you will know their properties and amount of nutrients that each food has. Below is a list of foods belonging to the category of cereal grains and pasta. Clicking on each one of them, you can view the properties of oils and nutritional information in addition to the benefits to your body. 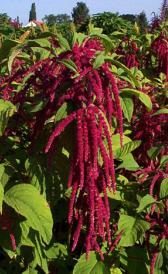 Uncooked amaranth: Uncooked amaranth is high carbohydrate, iron and magnesium. On the other hand. is low in total sugars, sodium and vitamin c.
Cooked amaranth grain: In food has a low quantity of total lipid, total sugars and sodium. Arrowroot flour: This food has a low quantiti of protein, total lipid and ash but has a high quantity of carbohydrate. Hulled barley: High in carbohydrate, total dietary fiber and magnesium and low in water, total lipid and total sugars. Raw pearled barley: Raw pearled barley is high carbohydrate, total dietary fiber and selenium. On the other hand. is low in water, total lipid and total sugars. Cooked pearled barley: Cooked pearled barley is low in total lipid, ash and total sugars. Buckwheat: High in carbohydrate, total dietary fiber and magnesium and low in water, total sugars and calcium. Dry bulgur: High in carbohydrate, total dietary fiber and magnesium and low in water, total lipid and total sugars. Cooked bulgur: In this food there are some nutrients that are found in low quantity, for example total lipid, ash and total sugars. Yellow corn: This food is low in water, total sugars and calcium but Yellow corn has carbohydrate, magnesium and thiamin in high quantity. Crude corn bran: This food has a low quantiti of water, total lipid and ash but has a high quantity of carbohydrate and total dietary fiber. Cornstarch: This food has a low quantiti of water, protein and total lipid but has a high quantity of carbohydrate. Dry couscous: High in carbohydrate and low in water, total lipid and total sugars. Cooked couscous: Cooked couscous is high selenium. On the other hand. is low in total lipid, ash and total sugars. White canned hominy: White canned hominy is low in protein, total lipid and total sugars. Raw millet: This food has a low quantiti of water, total sugars and calcium but has a high quantity of carbohydrate, magnesium and copper. Cooked millet: In food has a low quantity of total lipid, ash and total sugars. Raw oat bran: Raw oat bran is high carbohydrate, total dietary fiber and magnesium. On the other hand. is low in water, total sugars and sodium. Cooked oat bran: In this food there are some nutrients that are found in low quantity, for example food energy, total lipid and total sugars. Uncooked quinoa: This food has a low quantiti of total sugars, sodium and vitamin c but has a high quantity of carbohydrate, magnesium and phosphorus. 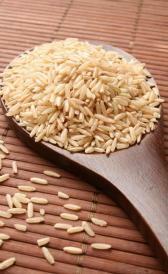 Raw long-grain brown rice: High in carbohydrate, magnesium and phosphorus and low in water, total sugars and sodium. Oats: This food is low in water, total sugars and sodium but Oats has carbohydrate, total dietary fiber and magnesium in high quantity. Raw glutinous white rice: This food is low in water, total lipid and total sugars but Raw glutinous white rice has carbohydrate in high quantity. Dry white rice with pasta: High in ash, carbohydrate and sodium and low in water, total dietary fiber and total sugars. Crude rice bran: High in total lipid, ash and total dietary fiber and low in water, total sugars and sodium. White rice flour: White rice flour is high carbohydrate. On the other hand. is low in total lipid, total sugars and calcium. Rye: This food is low in water, total lipid and total sugars but Rye has carbohydrate, total dietary fiber and magnesium in high quantity. Dark rye flour: This food has a low quantiti of water, total lipid and sodium but has a high quantity of carbohydrate, total dietary fiber and magnesium. Medium rye flour: High in carbohydrate, total dietary fiber and manganese and low in water, total lipid and total sugars. 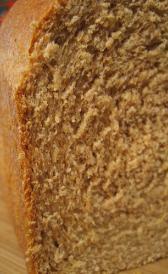 Light rye flour: Light rye flour is high carbohydrate. On the other hand. is low in total lipid, total sugars and calcium.